When it comes to day trips from Rome, the area's lakes provide some of the best places for peace, quiet, and gorgeous scenery. Yes, most visitors to Rome head to the seaside when they're craving some water. But especially this time of year, when the beaches are getting downright chilly, the lakes can be a better option. That's particularly true as the trees start to change color. As any autumn-lover knows, the only thing more beautiful than a brightly-colored forest is a brightly-colored forest… that's reflected in a lake's still water. In the summer, too, the lakes make a great escape from the city—and one that's less crowded, as most Italians tend to head to the seaside instead. (That said? If you're going on a summer weekend, consider taking the train instead of driving. Parking at the lakes' most popular stops is limited, and the traffic going into, and out of, Rome can add an hour or more to your commute). 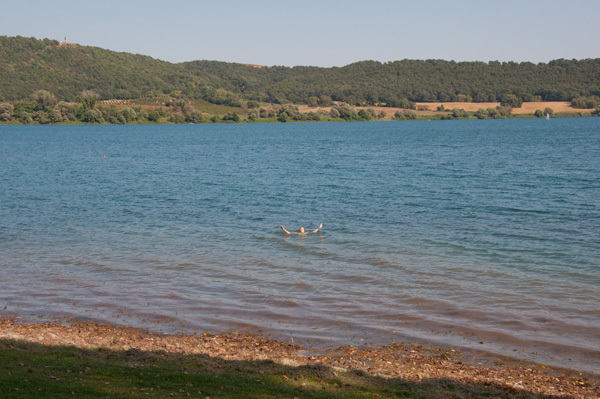 Year-round, here are my three favorite lakes near Rome! 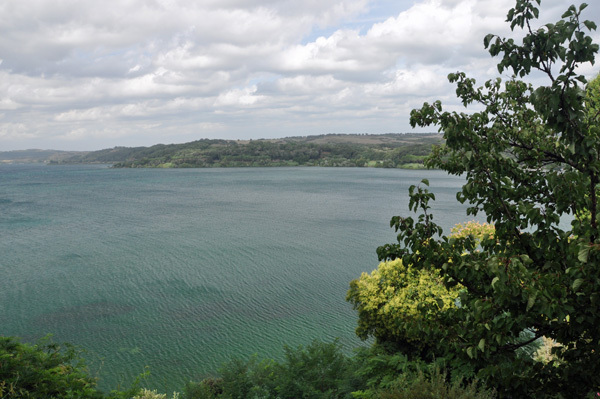 The second-largest lake in Lazio, Bracciano's also one of the area's cleanest: It's a water reservoir for Rome, so no motorboats are allowed, while runoff from the lake's towns is strictly controlled. That means that you can both swim in, and eat seafood from, the lake without having to worry about nasty bacteria or chemicals. (Sadly, this isn't the norm for many of Italy's lakes; Lake Lugano, Como, and Garda are all polluted to the degree that swimming isn't recommended). Partly thanks to the motorboat ban, watersports like windsurfing and sailing are especially popular. And several of the lake's towns are well worth exploring; Bracciano, the (unsurprisingly) most famous, is especially adorable, with medieval, cobblestoned streets and a gorgeous view of the lake. If the castle sounds, or looks, familiar, by the way, it might just be because this is where Tom Cruise and Katie Holmes were first linked, legally if not eternally, as TomKat. Although, honestly, I really hope that's not why you recognize it. 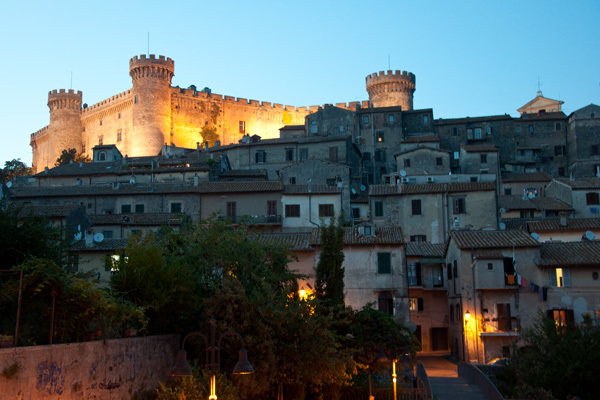 Getting there: By car, Bracciano is about a 45-minute drive (without traffice) north of Rome. By train, you can leave from the Roma-Ostiense station (a 5-minute walk from the Piramide stop on metro line B); the train takes about an hour to Bracciano and costs about 3 euros. 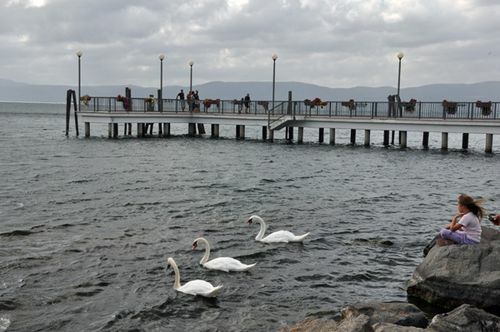 Nestled next to Lake Bracciano, Martignano looks like a runt on the map. But what comes with the tiny size is complete tranquility. Partly because it's tougher to get to: Even though it's right next to Lake Bracciano, there's no train station here, so you need a car. If you can make the trip, though, it's worth it. 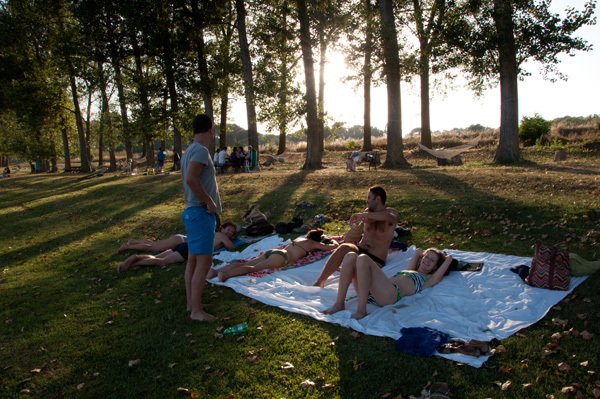 Just make sure you head to Agriturismo il Castoro, where, for a small fee, you can enjoy use of the grass beach and (here's the real seller) the hammocks. On especially nice days, get there before noon so you can stake one out! 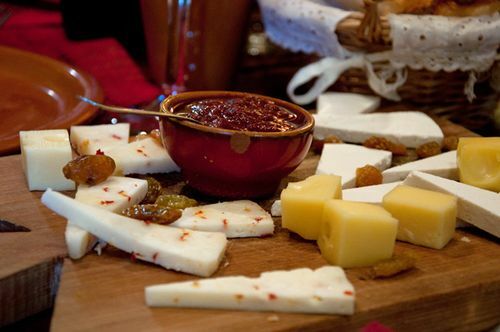 Another plus: The agriturismo has a cheap-and-simple restaurant (think grilled meats, vegetables, and beer), and you can eat overlooking the lake. Don't want to leave? You can camp overnight. Getting there: Your only option is by car; it's about a 45-minute drive from Rome (depending on traffic). Agriturismo il Castoro is located at Via di Polline, 343, Anguillara Sabazia. In the opposite direction of Rome from Bracciano and Martignano, Lake Albano is located in the Castelli Romani. Motorboats aren't allowed here, either, making the lake especially amenable to windsurfing and sailing—and to renting a pedalo, one of those funny little boats that you can pedal around the lake in yourself. Be warned that there's not much beach to speak of; there's a little slice of grass next to the lake, but getting into the water itself involves a balancing act of avoiding falling into the mud. Renting a pedalo, taking it out to the middle of the lake, and jumping in from there is always a better option. When you get your fill of the lake, walk the 15 or so minutes uphill to Castel Gandolfo. The Pope's residence in the summer, this medieval village, while tiny, has some perks, like gorgeous views of the lake and a couple of good restaurants. A friend of mine spent every weekend this summer at the lake taking windsurfing lessons introduced me to Arte e Vino, a cute, cozy cantina with the best lunch deal in town: plate after plate of antipasti for (if my memory serves me correctly… both times I've been there, I walked out in a serious food daze) 12 euros. 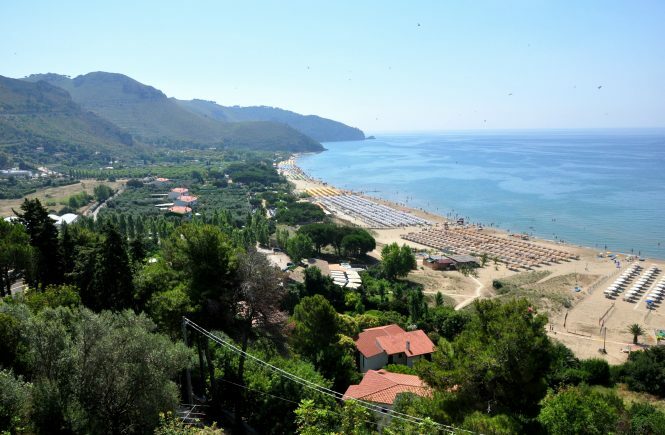 Getting there: Without traffic, it's about a 35-minute drive south of Rome. By train from Rome's Termini station, it takes 45 minutes and costs just €2.10.